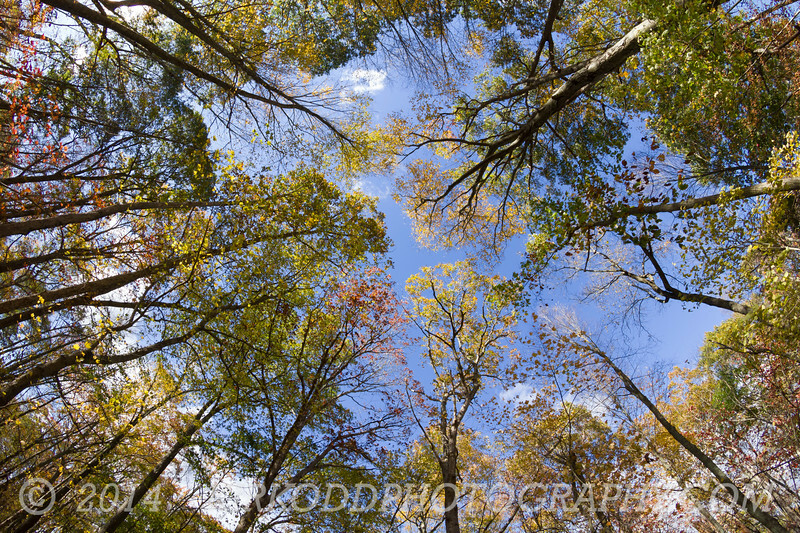 Sometimes when walking along a forest path in the fall, you should remember to look up! This photo was taken with our wide-angle fish eye lens from the woodland trails in the Pequotsepos Nature Center in Mystic, CT. Framed prints are available here!